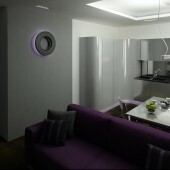 I was inspired by design as it is: it should show functionality and possibilities of modern technologies. Clock is an image of time, so it was chosen to represent the base of the concept of time spirit. Design captures the spirit of modernity in the form of minimalist sculptural clock, and high-tech materials as well as advanced technologies accentuate the idea. High technology should reflect the zeitgeist, which is associated with provocation, bored sophistication and prompt development of technologies. 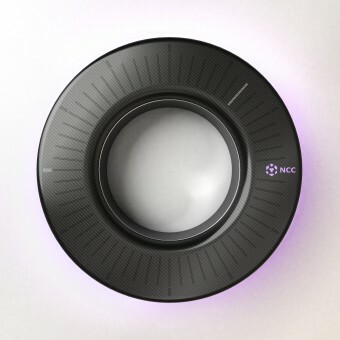 And so high-tech face of the product reflects in minimalist design. 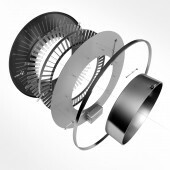 The absence of central part shows that innovative LED indication replace classical clock mechanism. Carbon in clock completely depicts high tech by itself, and its combination with polished metal emphasizes this feeling. Small light dots give the product refined look. On the front panel there are “hours” and “minutes” indication which lights alternately. Backlight changes intensity depending on lightning conditions (built-in light sensor). Two buttons on the back side are used to set time. Plastic part of the clock is made with the use of 3 plies of twill carbon fabric formed by infusion technology. The plastic edge is fully hidden in metal frame, made from titanium. Metallic part is made of standard rolled titanium tube. To fix the carbon gutter in metallic part is cut by spark-erosion. The LED lights are controlled by built-in computer. Holes on the front plastic surface are milled by laser with liquid nitrogen cooling. For proper light distribution matted transparent material is placed under the holes. Battery for the clock is accumulator. Outer diameter: 406,4 mm; inner diameter: 210 mm; depth: 80 mm. Plastic thickness: 1 mm; light holes diameter: 0.8 mm – light reflection and viewing angles were taken into account. The dimensions were chosen in order to be as close to standard metallic tube as it is possible, and it is perfect in case of visual perception as well. In the process of creation the top-priority goal was honest design, absence of fake and demonstration of high-tech of the product. Sizes of the holes and intervals between them were verified empirically in order not be detectable form afar and be conspicuous when lighten. Lighten holes on the dark field of carbon are associated with jewelry as well as with high technology. A priory clock was designed for limited production, as a gifts for affluent guests and clients of the company. Usage of high-tech materials and advanced technologies demonstrates capabilities of modern industry and design. Technical issues: if to use laser for holes forming polymer composite material is flashed off so liquid nitrogen was used. Standard titanium tube was chosen for the framework. 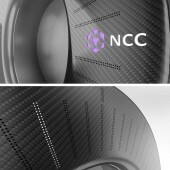 “Nanotechnological Composite Center” (NCC) is a part of Holding Company “Composite”, which produces carbon fibers, prepregs as well as composite products. 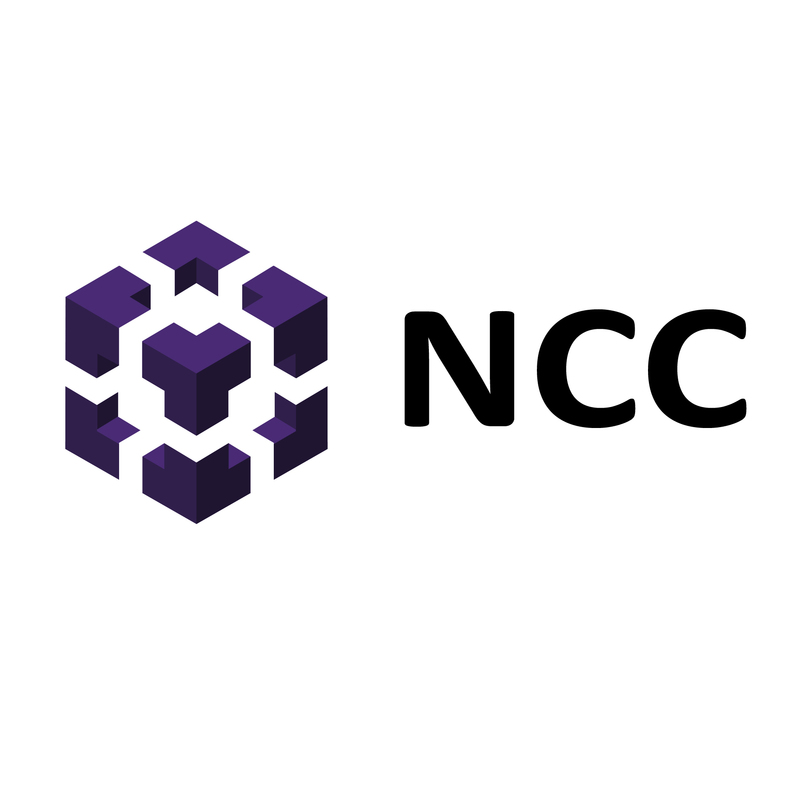 NCC is responsible for the design, manufacturing and commercialization of composite products. 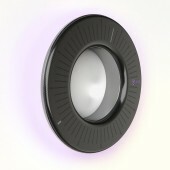 Zeitgeist Clock by Dmitry Pogorelov is a Nominee in Home Appliances Design Category. Zeitgeist Clock by Dmitry Pogorelov is Winner in Home Appliances Design Category, 2013 - 2014. · Read the interview with designer Dmitry Pogorelov for design Zeitgeist here. Did you like Dmitry Pogorelov's Appliance Design? Did you like Zeitgeist Clock? Help us create a global awareness for good appliance design worldwide. Show your support for Dmitry Pogorelov, the creator of great appliance design by gifting them a nomination ticket so that we could promote more of their great appliance designs.